We are pleased to welcome some new guest Ducks, including an exciting new partnership. 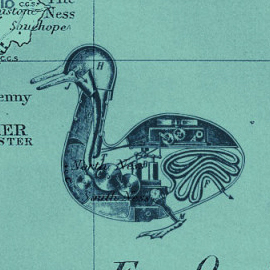 We also are pleased that guest bloggers, Lisa Gaufman, Jeff Stacey, Jeremy Youde, and Will Winecoff will continue to blog for the Duck. We wanted to thank all the guest bloggers who contributed last year including Maryam Deloffre, Alexis Henshaw, Charles Martel, Raul Pacheco-Vega, and Mira Sucharov. Our first guest is a little different than the others. We are excited to partner with Bridging the Gap to leverage their network of policy-relevant scholars to write for the Duck periodically. So, under the mantle and icon of Bridging the Gap, you will see posts from a variety of authors this fall. Naazneen Barma and Brent Durbin will take the lead on the column on behalf of the Bridging the Gap directorship, which also includes Jim Goldgeier, Bruce Jentleson, Jordan Tama, and Steve Weber. Jim by the way wrote a fabulous post for us last week with guidance for junior scholars on tenure track. 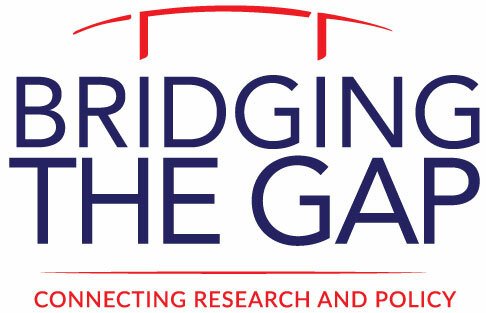 For those unfamiliar with their training workshops for faculty and graduate students, Bridging the Gap promotes scholarly contributions to public debate and decision making on global challenges and U.S. foreign policy. BtG equips professors and doctoral students with the skills they need to produce influential policy-relevant research and theoretically grounded policy work. They also spearhead cutting-edge research on problems of concrete importance to governments, think tanks, international institutions, non-governmental organizations, and global firms. Within the academy, BtG is driving changes in university culture and processes designed to incentivize public and policy engagement. Jonathan Luke Austin is Lead Researcher for the Violence Prevention (VIPRE) Initiative, Geneva and a Postdoctoral Fellow at the Centre on Conflict, Development and Peacebuilding (CCDP) of the Graduate Institute, Geneva. Austin’s research is situated at the intersections of international political sociology, social theory, security studies, and political theory. In particular, his research has involved the ethnographic interviewing of Syrian perpetrators of torture, as well as members of islamist ‘terrorist’ organisations, and focuses broadly on political violence (prevention), social theory, and the role of aesthetics, literature and art in world politics. Austin is also on the executive committee of the Science, Technology, and Art in International Relations (STAIR) of the International Studies Association and on the editorial team of Contexto Internacional: Journal of Global Connections at PUC-Rio. His research has been published in European Journal of International Relations, International Political Sociology, Security Dialogue, and elsewhere. Welcome Ducklings! Awesome posts so far and looking forward to many more!